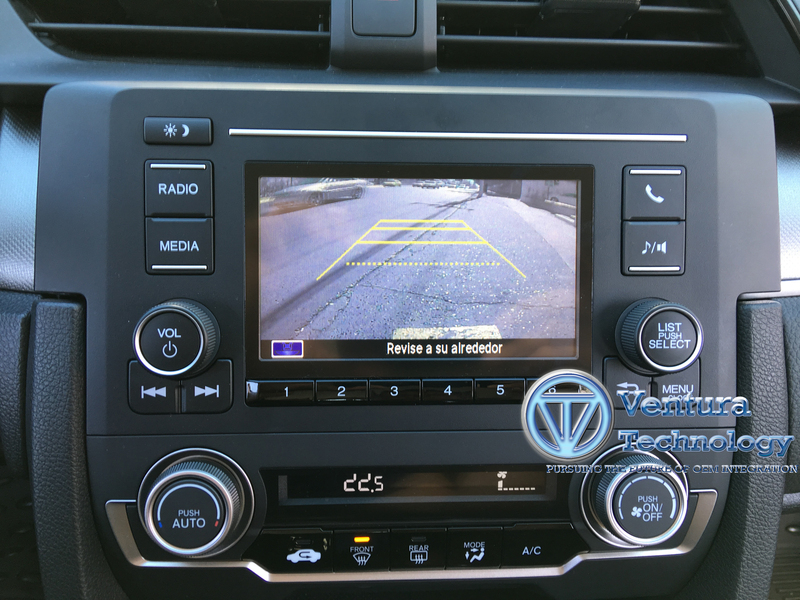 Ventura Technology provides seamles integration solutions for all 2011-2014 Chrysler,Dodge, Equipped Vehicles with UConnect Touch 8.4 Navigation radios.the new VT-CHRNAVLINK-02 interface module Allows the passenger To Override the Factory 8.4 Uconnect Touch Navigation Radio To Watch DVDs on the front screen Using The factory OEM DVD Player Or Video From The OEM Auxiliary Audio/Video Input As Well As Navigation Addresses entry And switching between The factory Backup Camera and other Audio accesories optional A/V Wire Harness is Also nessesary To Allow The Addition of An aftermarket Audio/Video Inputs or Adding an Aftermarket Reverse Camera as well as a front Camera. 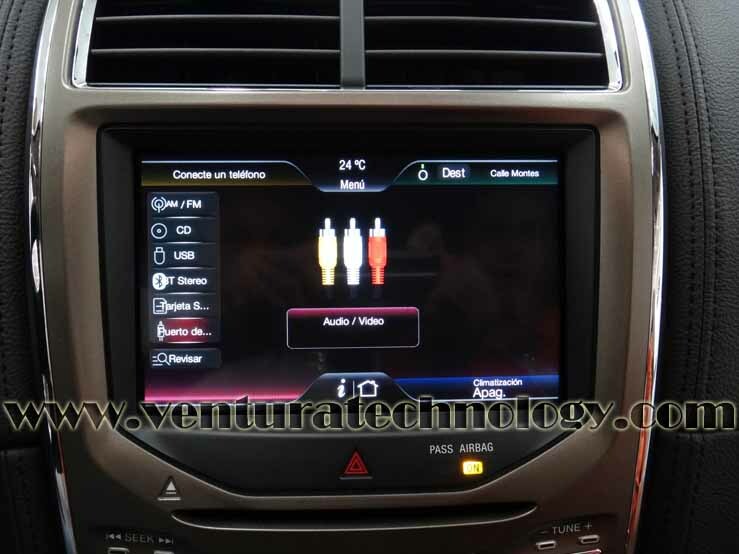 The VT-HONDNAVLINK-01 works for all 2006-2011 Honda with an all in 1 factory Navigation radios Audio/Video Interface. 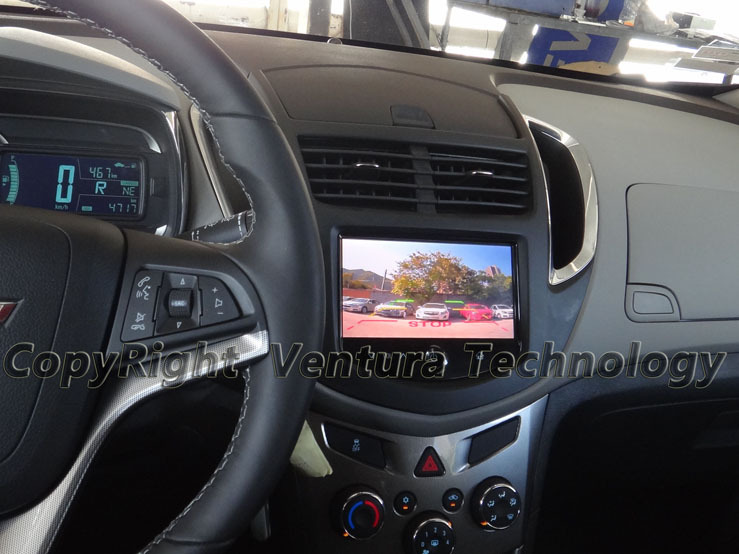 Focused on providing solutions to todays challenges, Ventura Technology VT-HONDNAVLINK-01 is the answer to providing a quick, easy and high quality Audio/video input to many factory Honda Acura OEM navigation displays.many of the honda Vehicles manufacturer have gone to great lengths in late model vehicles to incorporate high quality Video Screens that are limited to Navigation display.Ventura Technology overcomes this limitation with the introduction of the VT-HONDNAVLINK-01 interface. 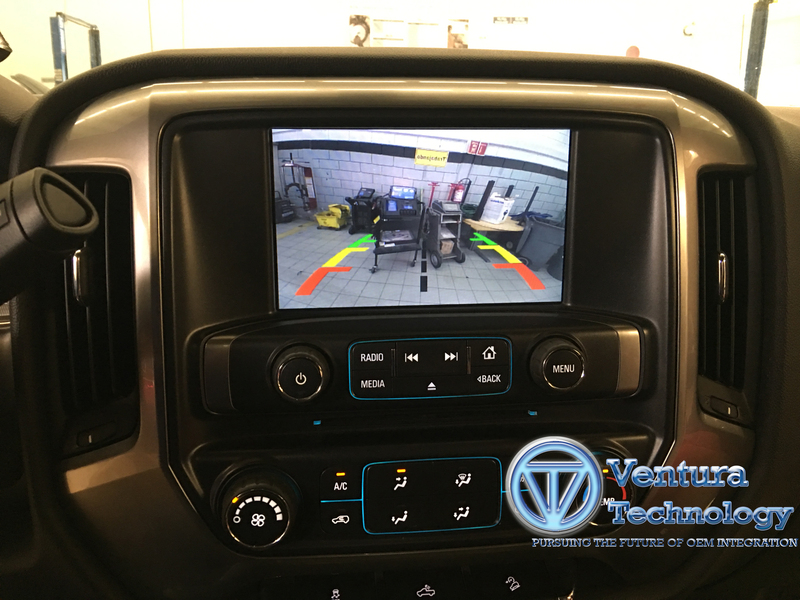 This innovative device allows up to 4 independent video sources to be viewed on the factory navigation display by seamlessly converting composite video inputs to separate R, G, B, and sync wire signals. 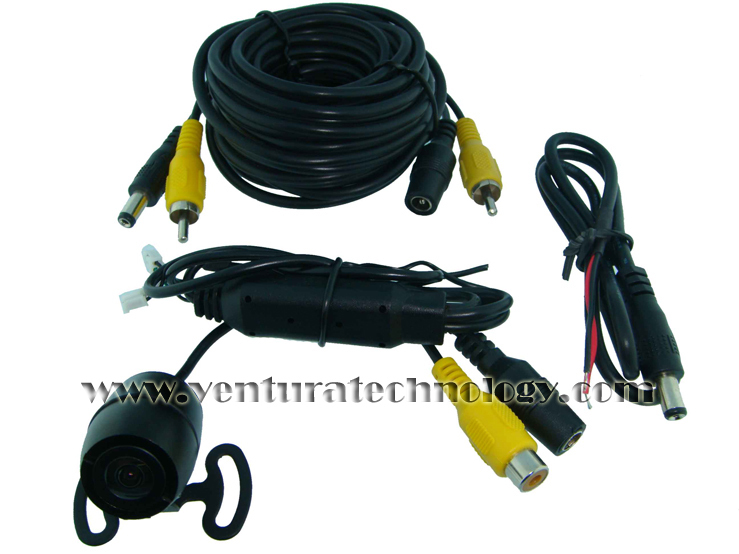 These video inputs can be used for a back up camera or any other video source. 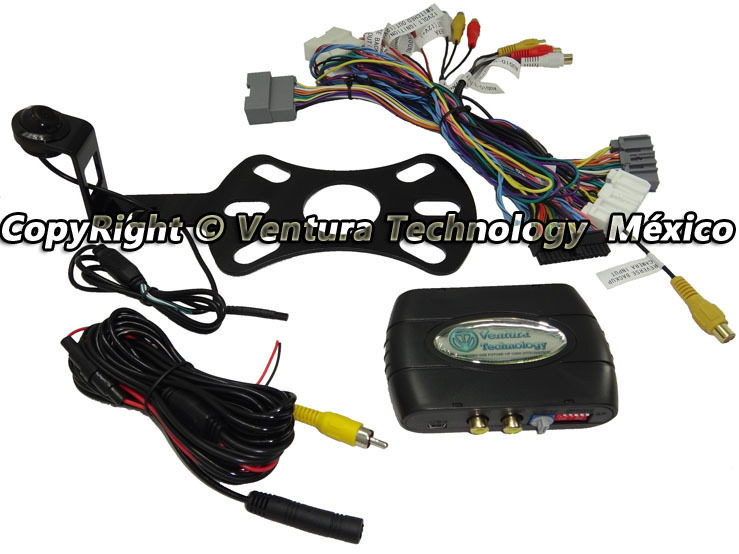 The VT-HONDNAVLINK-01 uses OEM vehicle specific harnesses to integrate video into Honda -Acura with OEM navigation displays. 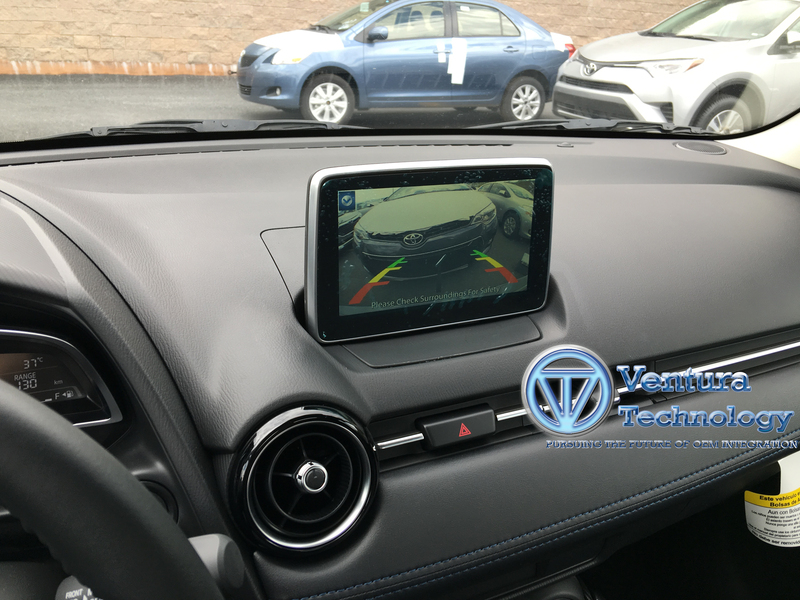 This allows for an easy Plug and Play installation. 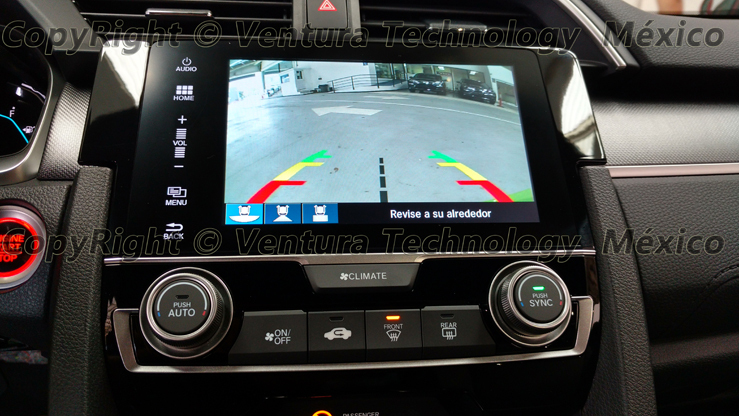 Additionally, Ventura Technology includes an Infra- Red remote control for the VT-HONDNAVLINK-01 This remote control can be used to switch between video inputs and also make adjustments for Brightness, Contrast, and Color thus providing an even greater level of control and performance. 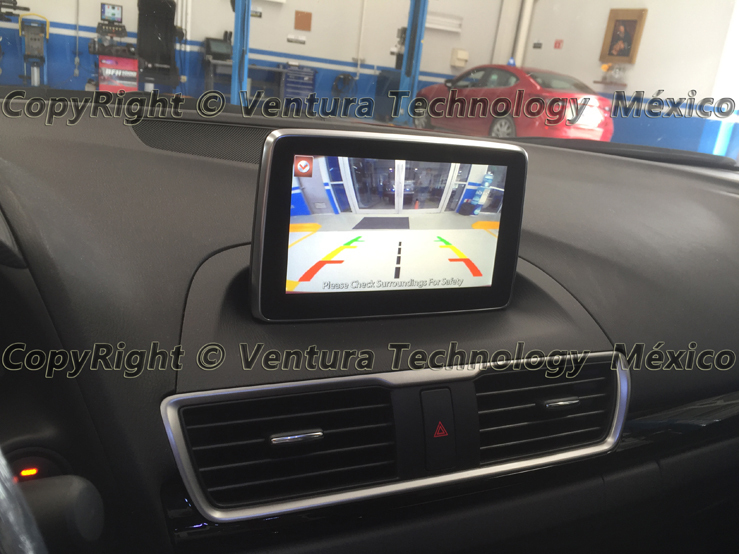 Audio and Video all in 1 Interface no need for FM Modulated or Extra Audio Adapters,Play DVD Videos from your iPod/iPad,iPhone through your factory Honda Navigation Radios. 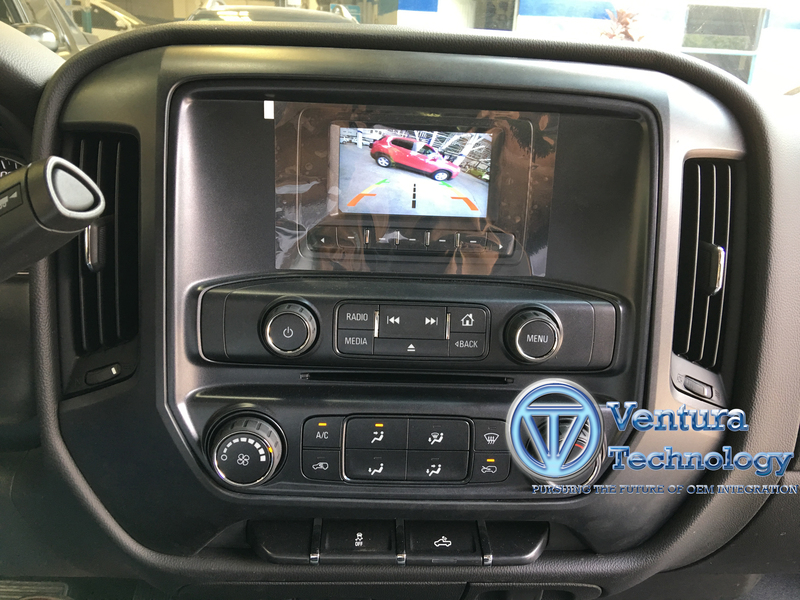 The VT-HONDNAVLINK-03 Honda-Acura universal OEM Navigation Video Interface. 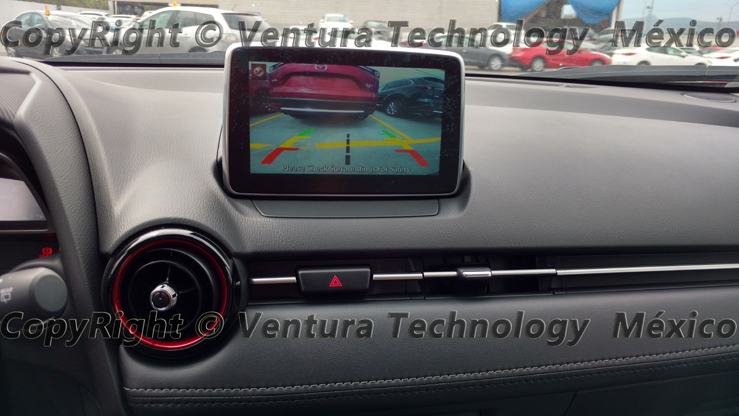 Focused on providing solutions to todays challenges, Ventura Technology VT-HONDNAVLINK-03 is the answer to providing a quick, easy and high quality Audio/video input to many factory Honda Acura OEM navigation displays.many of the honda Vehicles manufacturer have gone to great lengths in late model vehicles to incorporate high quality Video Screens that are limited to Navigation display. 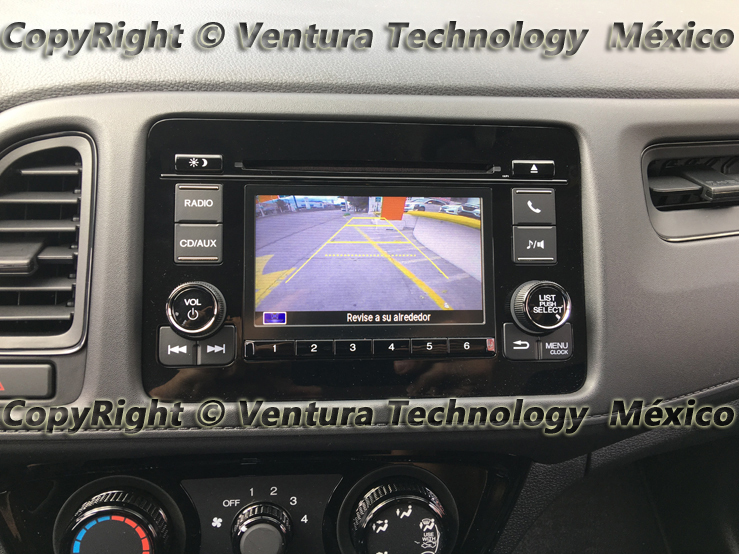 Ventura Technology overcomes this limitation with the introduction of the VT-HONDNAVLINK-03 interface. 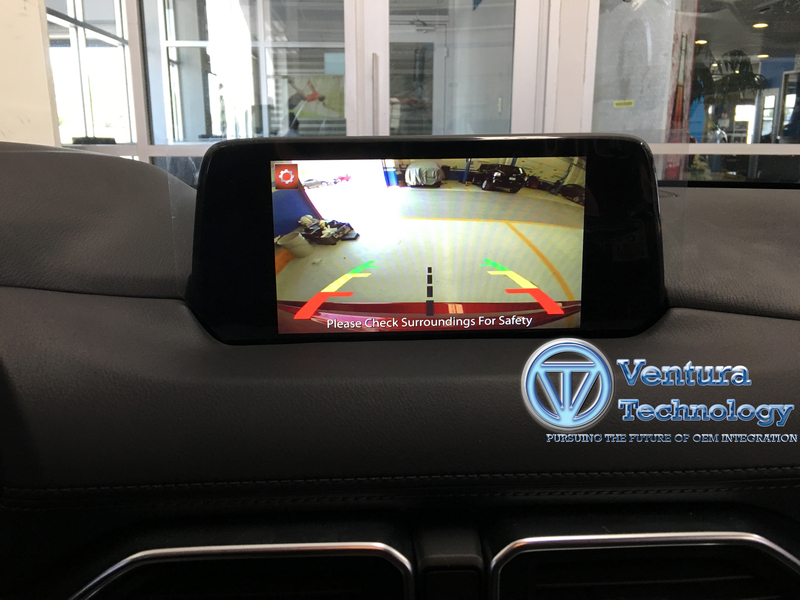 This innovative device allows up to two independent video sources to be viewed on the factory navigation display by seamlessly converting composite video inputs to separate R, G, B, and sync wire signals. 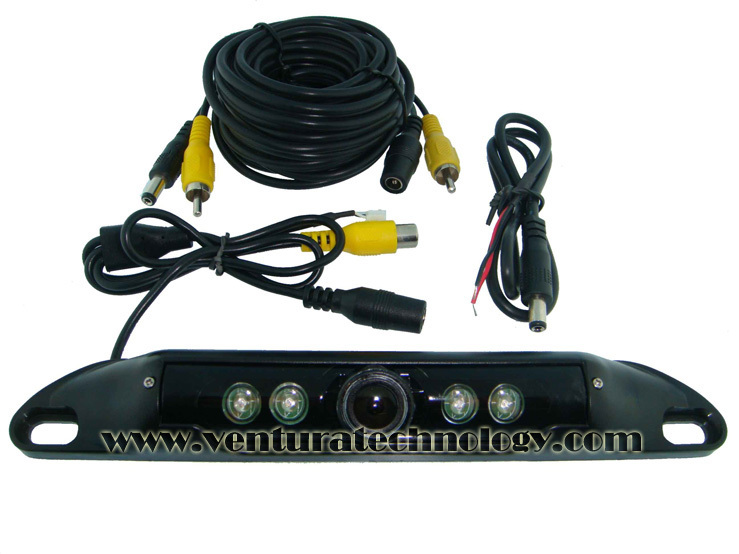 These video inputs can be used for a back up camera or any other video source. 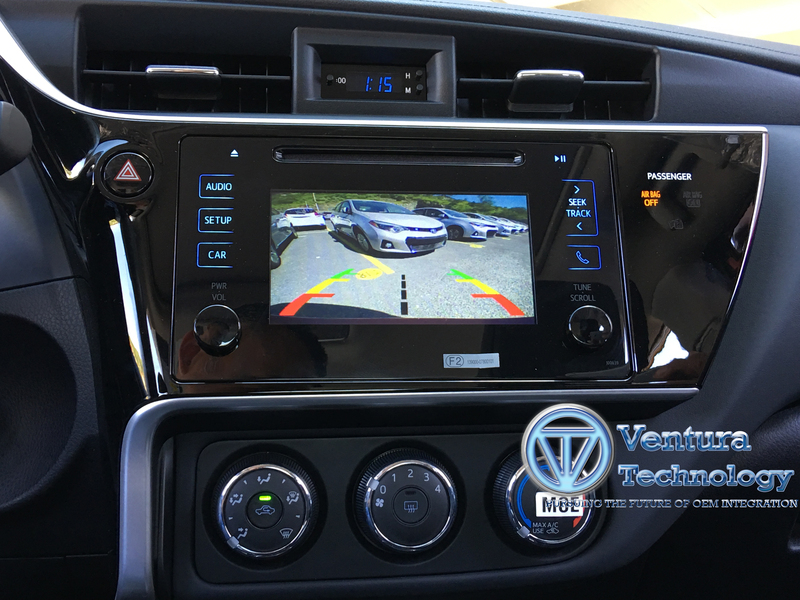 The VT-VT-HONDNAVLINK-03 uses OEM vehicle specific harnesses to integrate video into Honda -Acura with OEM navigation displays. This allows for an easy Plug and Play installation. 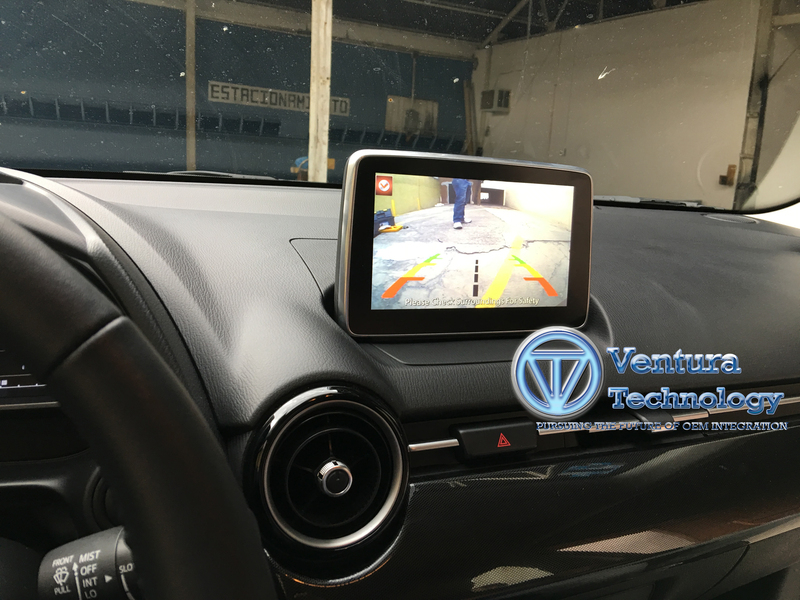 Additionally, Ventura Technology includes an Infra-Red remote control for the VT-HONDNAVLINK-03 This remote control can be used to switch between video inputs and also make adjustments for Brightness, Contrast, and Color thus providing an even greater level of control and performance. 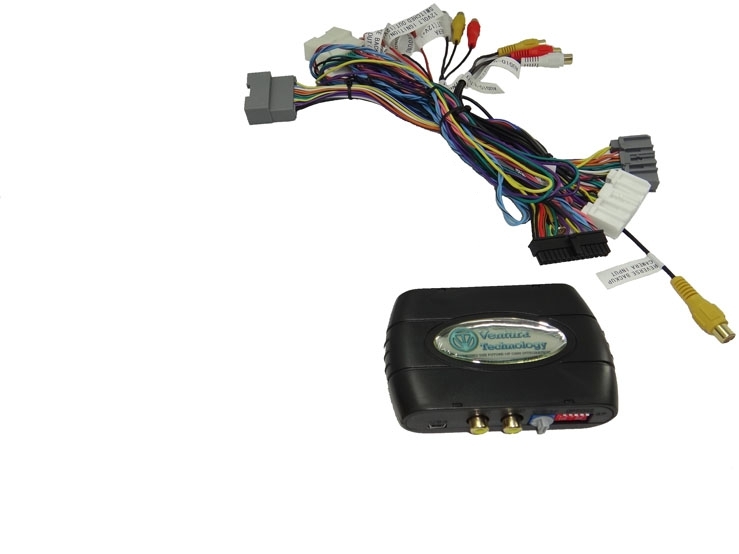 Audio/Video inputs all in 1 Interface no need for FM Modulated or Extra Audio Adapters,Play DVD Videos from your iPod/iPhone through your factory Honda Navigation Radios. 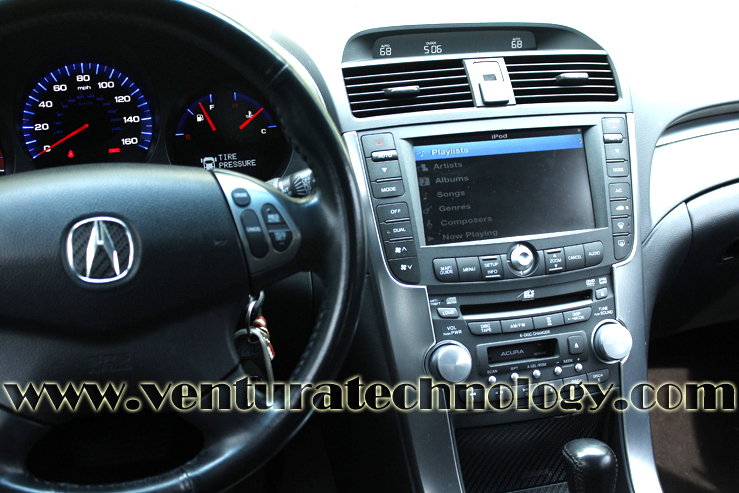 The VT-HONDNAVLINK-02 2003-2008 Honda-Acura universal OEM Navigation Audio/Video Interface. 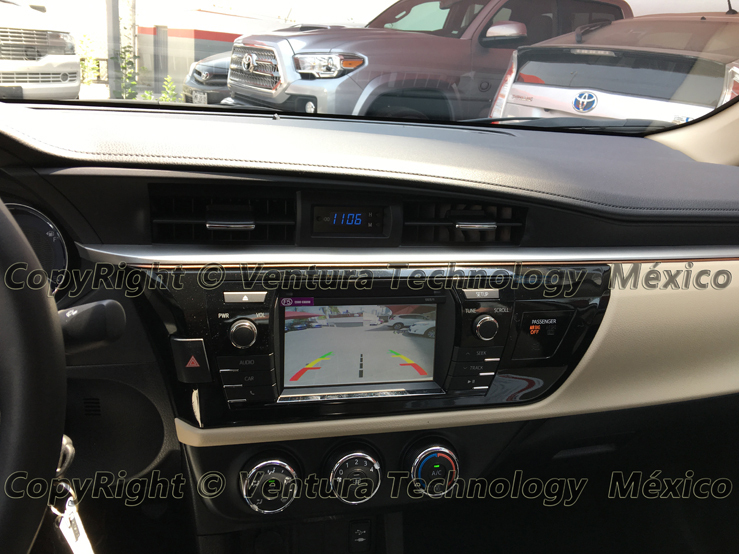 Focused on providing solutions to today’s challenges, Ventura Technology VT-HONDNAVLINK-02 is the answer to providing a quick, easy and high quality Audio/video input to many factory Honda Acura OEM navigation displays.many of the honda Vehicles manufacturer have gone to great lengths in late model vehicles to incorporate high quality Video Screens that are limited to Navigation display.Ventura Technology overcomes this limitation with the introduction of the VT-HONDNAVLINK-02 interface. 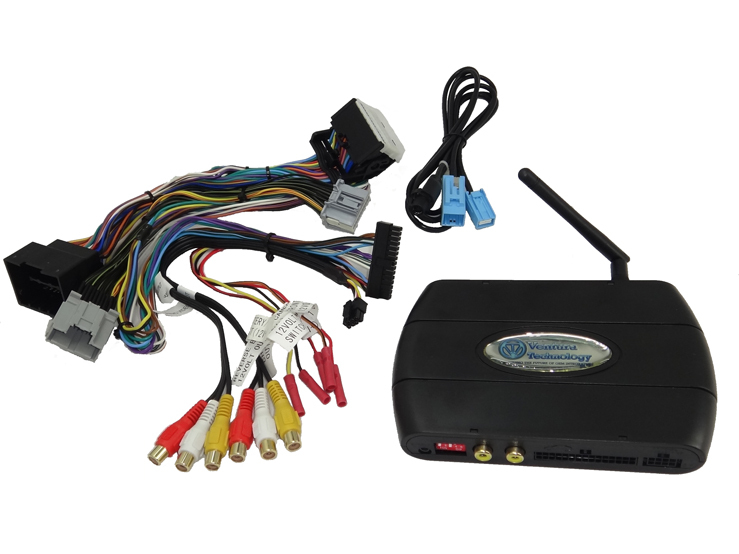 This innovative device allows up to two independent video sources to be viewed on the factory navigation display by seamlessly converting composite video inputs to separate R, G, B, and sync wire signals. 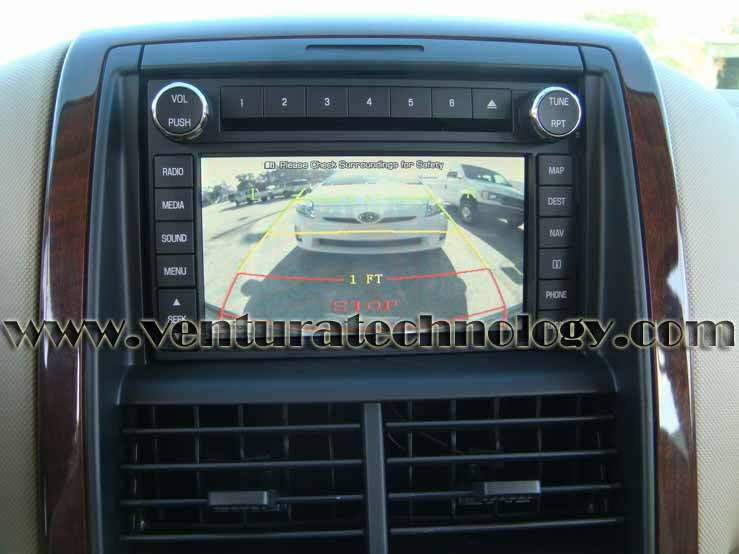 These video inputs can be used for a back up camera or any other video source. 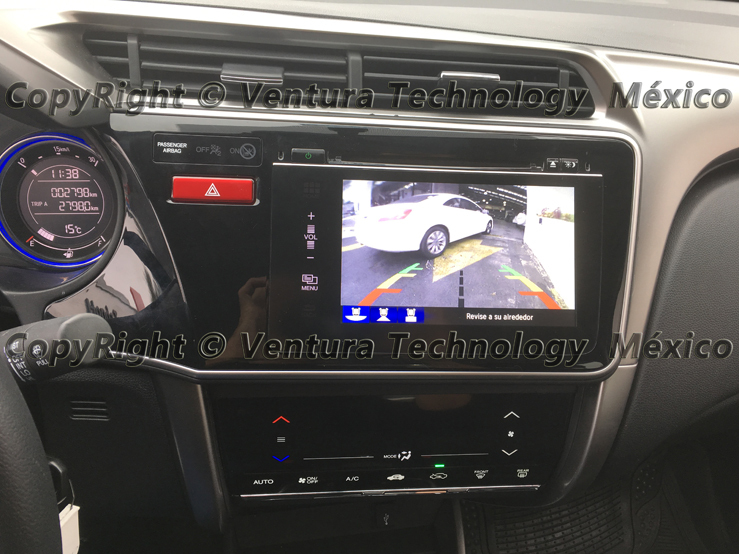 The VT-HONDNAVLINK-02 uses OEM vehicle specific harnesses to integrate video into Honda -Acura with OEM navigation displays. This allows for an easy Plug and Play installation. 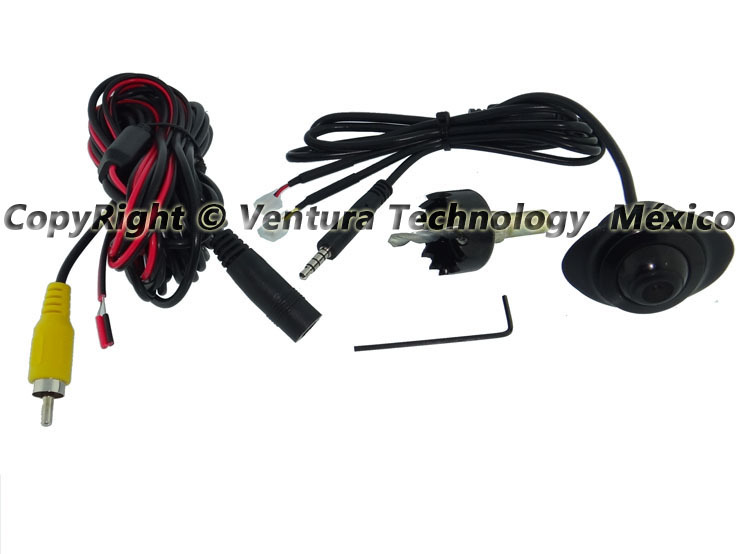 Additionally, Ventura Technology includes an Infra- Red remote control for the VT-HONDNAVLINK-02 This remote control can be used to switch between video inputs and also to control your iPods,iPads,iPhones make adjustments for Brightness, Contrast, and Color thus providing an even greater level of control and performance. 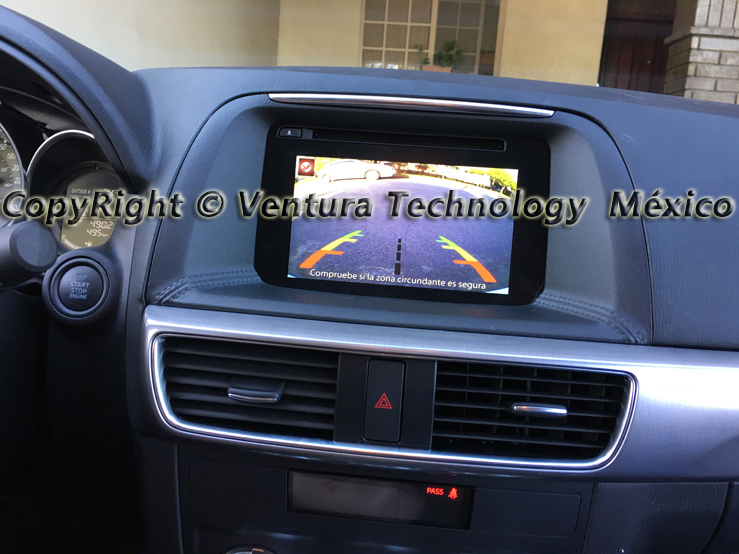 control your Music and Videos from all your iPods,iPads,iPhones all in 1 Interface no need for FM Modulated or Extra Audio Adapters,Play and control your music, with A/V inputs for DVD Players,TV tuners right through your factory Honda Acura Navigation Radios. 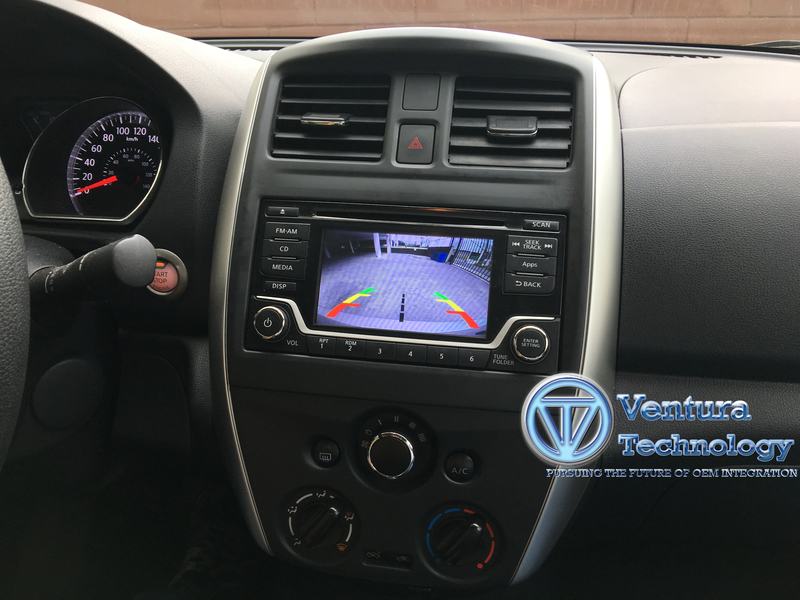 The VT-MAZNAVLINK-02 works with all 2007-2009 Mazda CX7 CX9 with an all in 1 factory Navigation radios Audio/Video Interface. 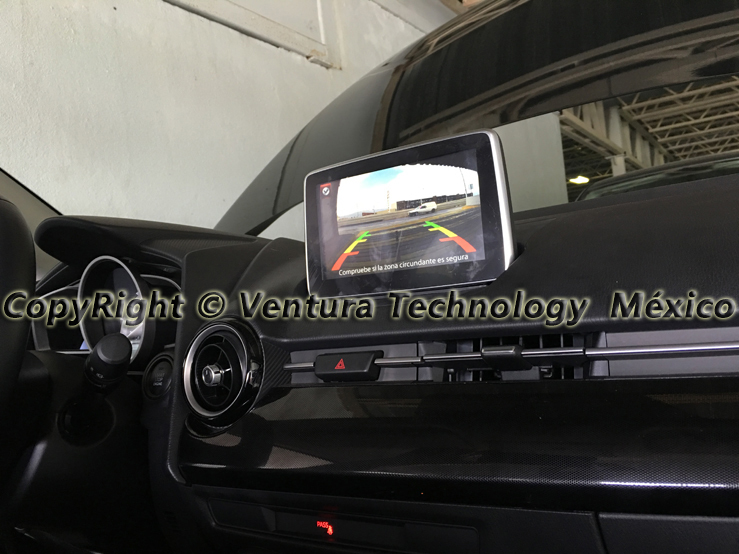 Focused on providing solutions to todays challenges, Ventura Technology VT-MAZNAVLINK-02 is the answer to providing a quick, easy and high quality Audio/video input to many factory Honda Acura OEM navigation displays.many of the honda Vehicles manufacturer have gone to great lengths in late model vehicles to incorporate high quality Video Screens that are limited to Navigation display.Ventura Technology overcomes this limitation with the introduction of the VT-MAZNAVLINK-02 interface. 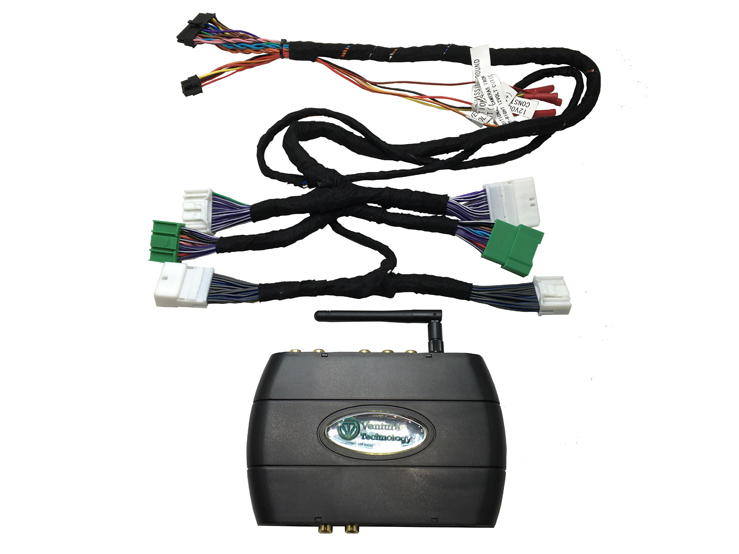 This innovative device allows up to 4 independent video sources to be viewed on the factory navigation display by seamlessly converting composite video inputs to separate R, G, B, and sync wire signals. 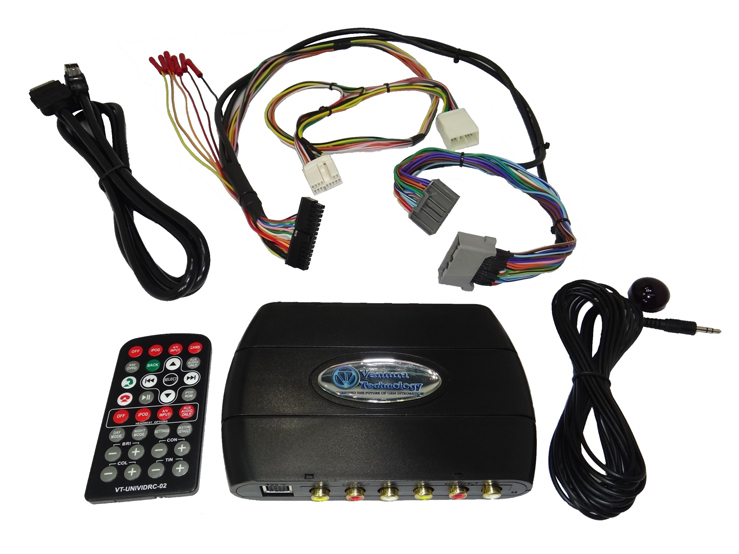 These video inputs can be used for a back up camera or any other video source. 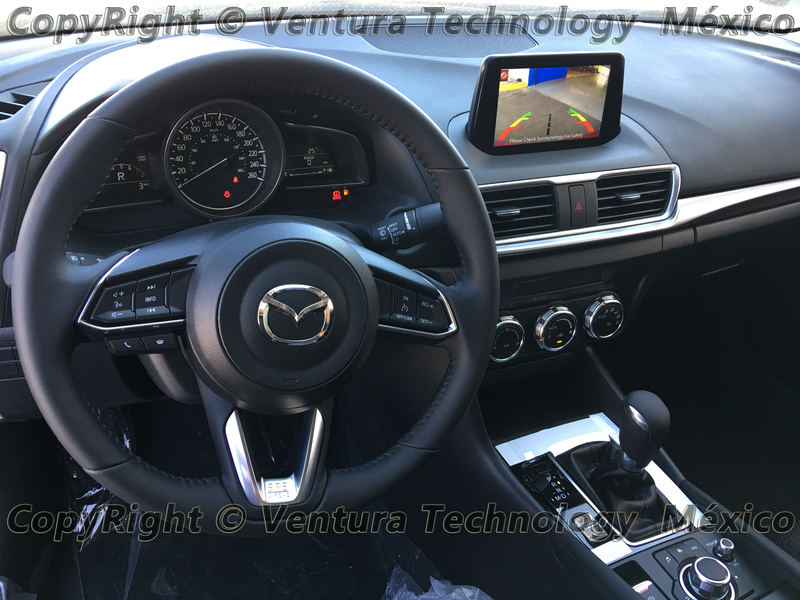 The VT-MAZNAVLINK-02 uses OEM vehicle specific harnesses to integrate video into Mazda with OEM navigation displays. 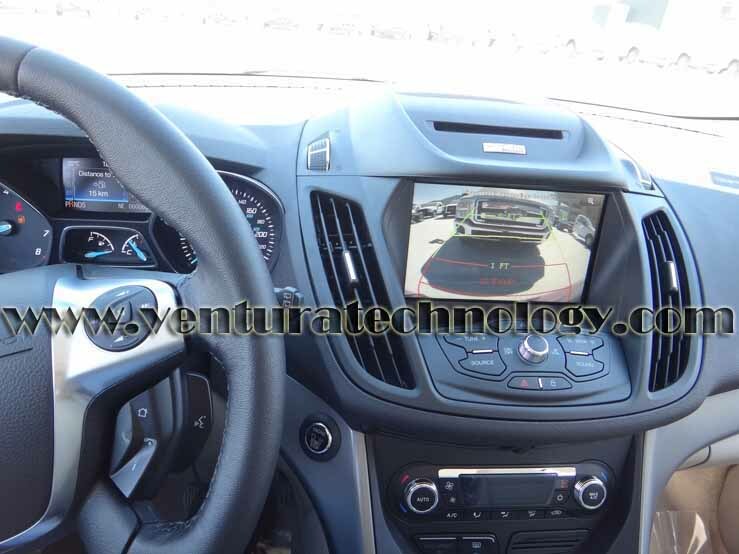 This allows for an easy Plug and Play installation. 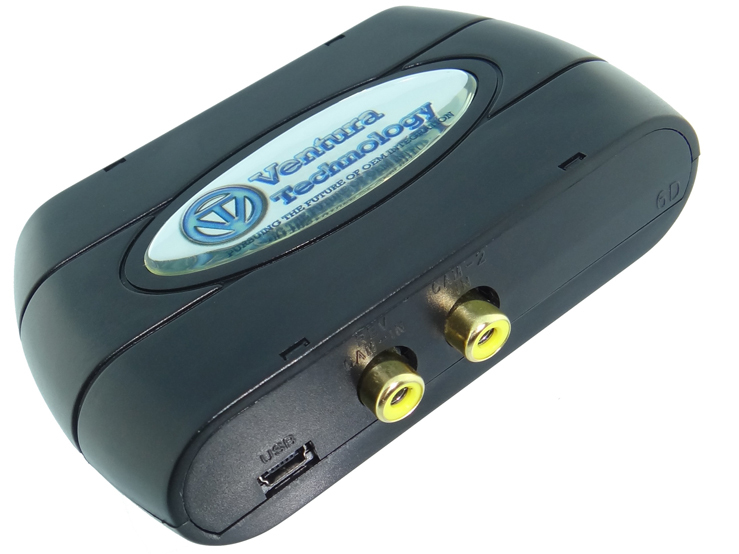 Additionally, Ventura Technology includes an Infra- Red remote control for the VT-MAZNAVLINK-02 This remote control can be used to switch between video inputs and also make adjustments for Brightness, Contrast, and Color thus providing an even greater level of control and performance. 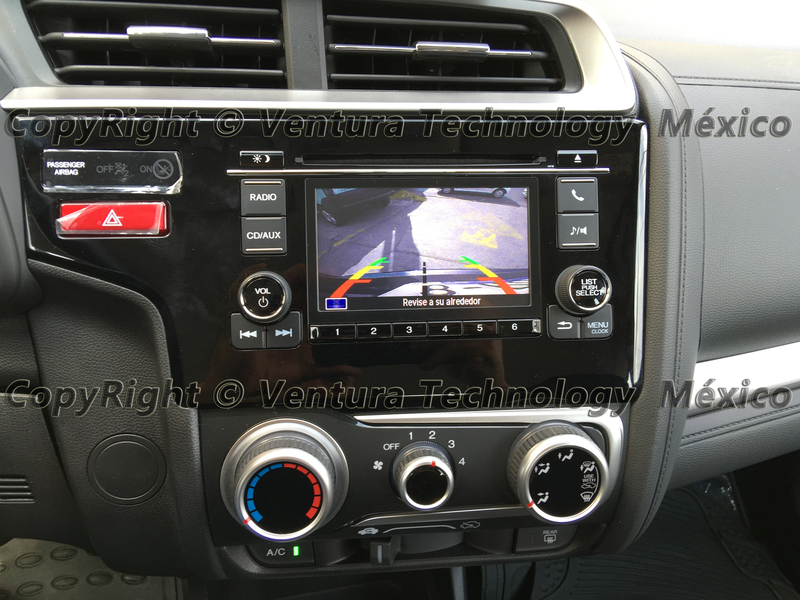 Ventura Technology provides seamles integration solutions for all 2007-2015 Chrysler,Dodge,Jeep Equipped Vehicles with MYGIG radios.the new VT-CHRNAVLINK-01 interface module Allows the passenger To Override the Factory MyGiG Radio To Watch DVDs on the front screen Using The factory OEM DVD Player Or Video From The OEM Auxiliary Audio/Video Input As Well As Navigation Addresses entry And switching between The factory Backup Camera and other Audio accesories .optional A/V Wire Harness is Also nessesary To Allow The Addition of An aftermarket Audio/Video Inputs or Adding an Aftermarket Reverse Camera as well as a front Camera. 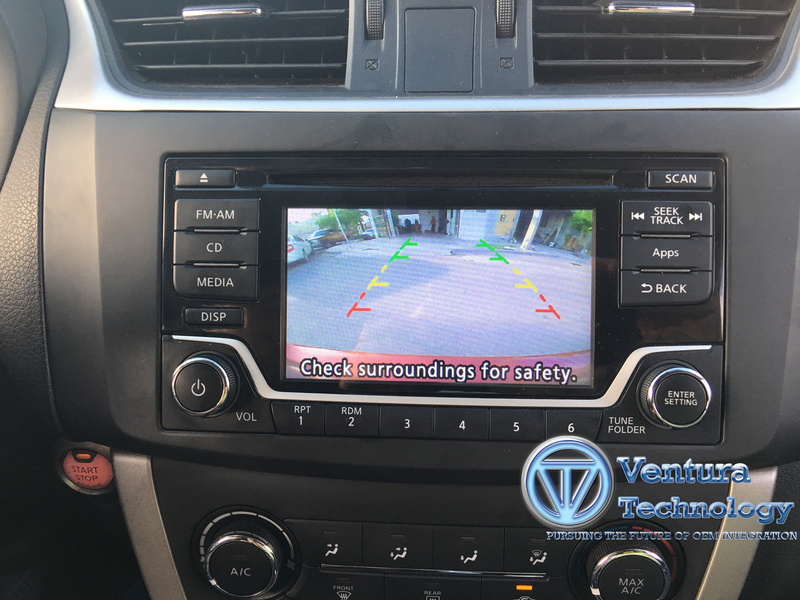 WARNING: In order to avoid distraction, which could lead to an accident, the driver should never utilize systems unlocked by the VT-CHRNAVLINK-01 when the vehicle is in motion. 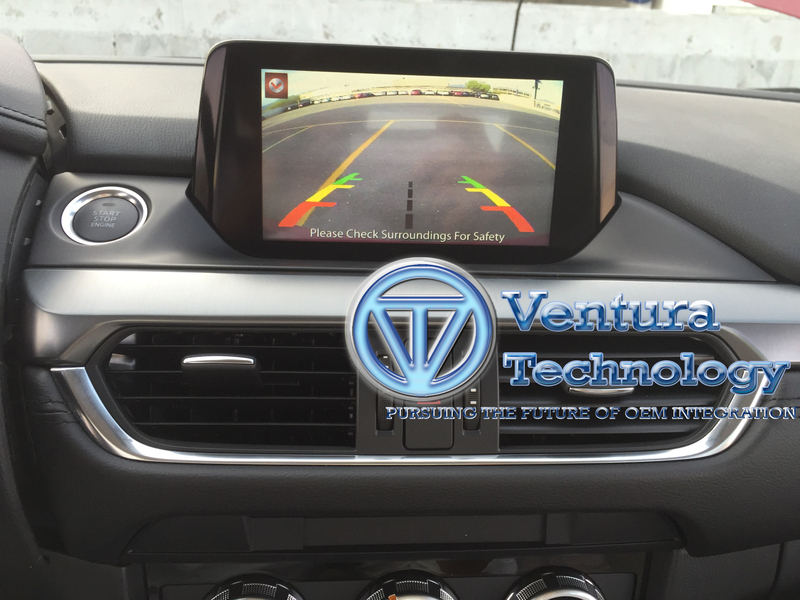 Even when operated by the passenger, the vehicle driver should maintain their attention on the road at all times. 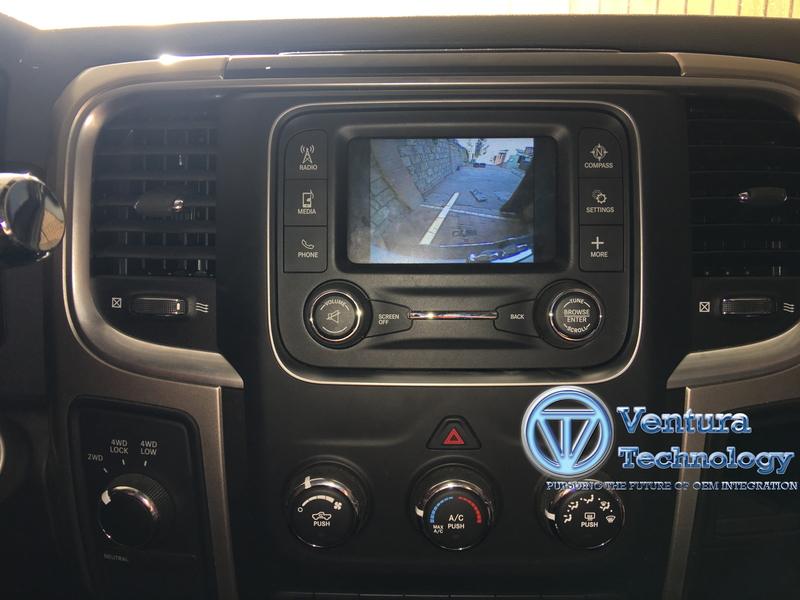 Garmin Integration for all Chrysler,Dodge,Fiat with 4.3 & 8.4 Uconnect Touch Screen the VT-CHRNAVLINK-04 Allows the user to install an aftermarket Garmin GVN 53 Module controlling it with the factory touch screen, in addition the VT-CHRNAVLINK-04 has 2 extra video inputs for reverse backup camera or a front camera. 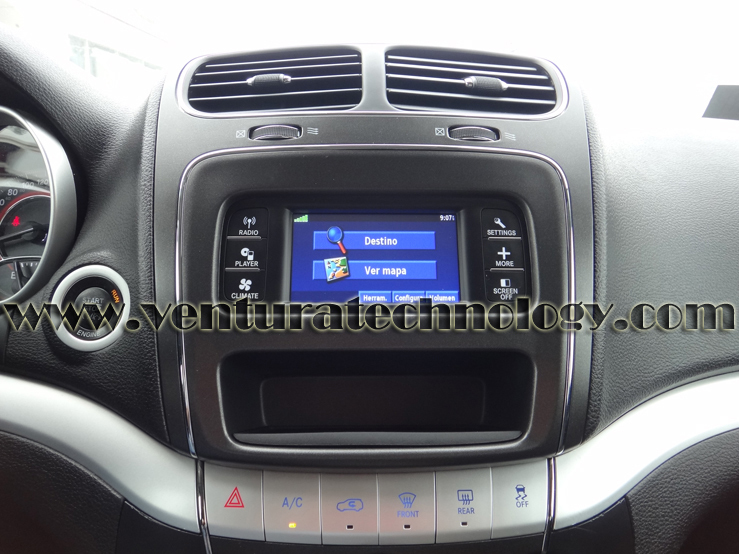 The only PLUG N PLAY MyFord Touch Solution integration for all 2011-2013 Ford,Lincoln Equipped Vehicles with MYFORD TOUCH hard drive base navigation radios,the new VT-MFTNAVLINK-02 interface module allows You To override all Ford factory MYFORD TOUCH navigation radios to Unlock the Factory A/V inputs on the front screen while in motion using the Factory A/V Inputs on the center console,connect your iPod,iPhone,iPad,DVD Players or video from a TV tuner while driving as well as navigation addresses entry activate your factory backup camera while in motion.plus add an automatic front camera for front view while parking Plug n Play harness kit allows easy install. 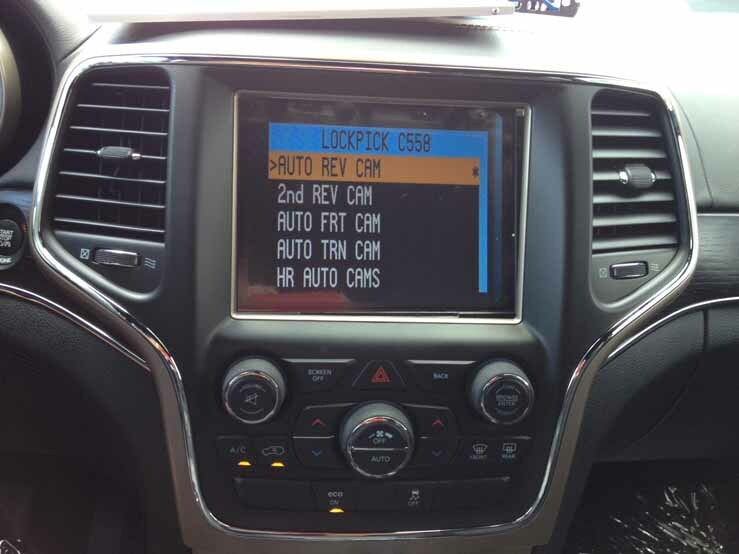 The only PLUG N PLAY MyFord Touch Solution integration for all 2011-2013 Ford,Lincoln Equipped Vehicles with MYFORD TOUCH hard drive base navigation radios,the new VT-MFTNAVLINK-03 interface module allows You To PROGRAM the factory Radio to add an aftermaket backup camera and UNLOCK all Factoty BLOCKED navigation features Like the Factory A/V inputs on the front screen while in motion the module also allows you to unlock the factoty- navigation address input entry use the Factory Steering wheel controls to activate the MODULE allowing the passenger to enjoy and watch movies on the front screen using the factory A/V Inputs on the center console,connect your iPod,iPhone,iPad,DVD Players or video from a TV tuner while driving activate your factory backup camera while in motion.plus add an automatic front camera for front viewwhile parking Plug n Play harness kit allows easy install. 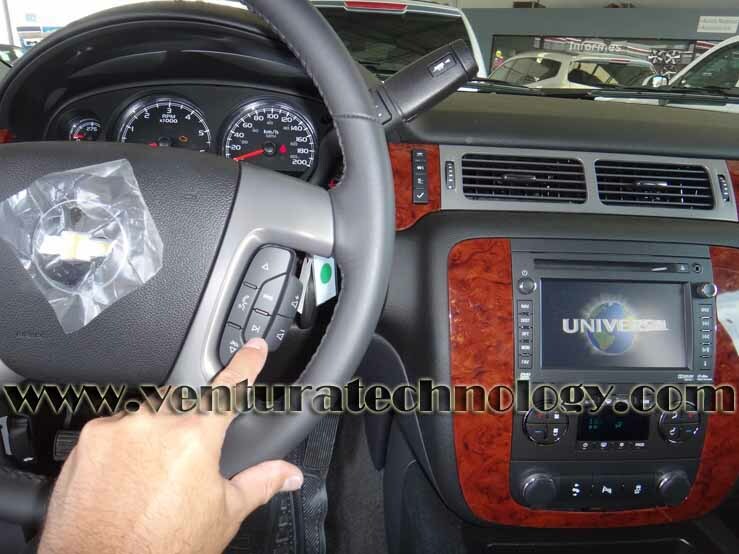 Ventura Technology provides seamles integration solutions for all 2011-2012 Chrysler,Dodge, Equipped Vehicles with UConnect Touch 8.4 Navigation radios.the new VT-CHRNAVLINK-02 interface module Allows the passenger To Override the Factory 8.4 Uconnect Touch Navigation Radio To Watch DVDs on the front screen Using The factory OEM DVD Player Or Video From The OEM Auxiliary Audio/Video Input As Well As Navigation Addresses entry And switching between The factory Backup Camera and other Audio accesories optional A/V Wire Harness is Also necessary To Allow The Addition of An aftermarket Audio/Video Inputs or Adding an Aftermarket Reverse Camera as well as a front Camera. 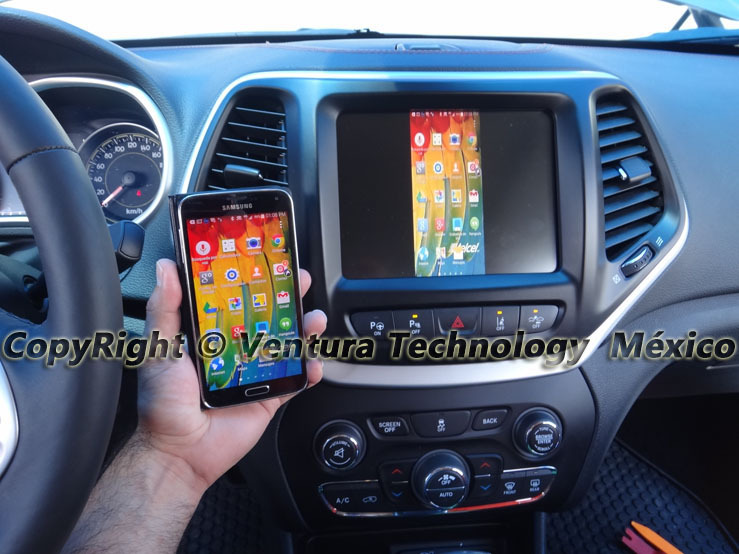 The new Dual Wi-Fi Mirror link interface module with DLNA MIRACAST Mode Allows Smartphones Mirroring from a mobile phone on to your factory radio screen To Watch videos from Android enable Phones Sam Sung S3 S4 S5,iPhone,iPods, iPads transfer your entire screen from your Smartphone wirelessly to your factory navigation screen. 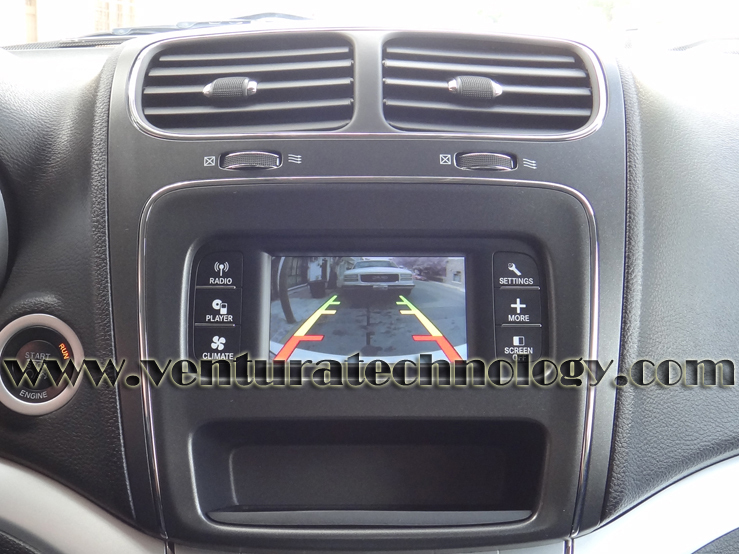 Ventura Technology provides seamless integration solutions for all 2007-2015 Chrysler,Dodge,Jeep Equipped Vehicles with MYGIG radios.the new MYGIG LOCKPICK PRO interface module Allows the passenger To Override the Factory MyGiG Radio To Watch DVDs on the front screen Using The factory OEM DVD Player Or Video From The OEM Auxiliary Audio/Video Input As Well As Navigation Addresses entry And switching between The factory Backup Camera and other Audio accesories .optional A/V Wire Harness is Also nessesary To Allow The Addition of An aftermarket Audio/Video Inputs or Adding an Aftermarket Reverse Camera as well as a front Camera.